Every day, you lose the majority of your sales. Shopping cart abandonment affects every store online, yet the majority of store owners do nothing about it. Baymard measures the abandonment rate for eCommerce stores as 68.543%. This means that for every $32 in purchases your store receives, another $68 is abandoned by customers. I’ve outlined a list of five actionable tips that will put you on the way to recovering the revenue you deserve. Eliminate Unexpected Costs— 57% of customers who abandon shopping carts do so because of unexpected costs like shipping, processing, or handling fees, according to Statista. 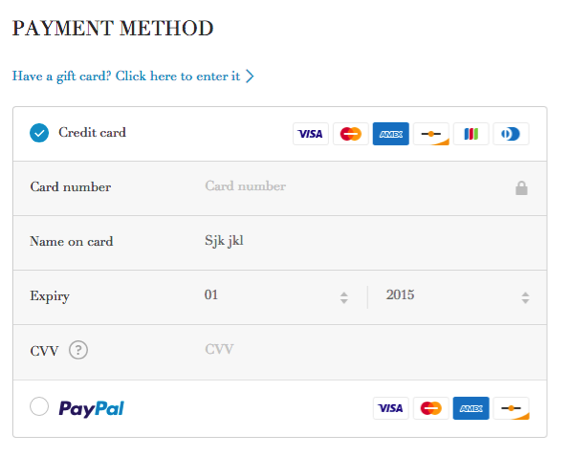 As a business, you should never wait until the final checkout page to reveal a hidden fee. If at all possible, bundle these fees in with the cost of your product and offer free shipping. Boga extends free shipping to all customers, and doesn’t add any unexpected costs at checkout. Optimize your eCommerce checkout process— Remove all barriers to purchase. In particular, eCommerce businesses should enable guest checkout, offer live support via phone or chat, and allow users to easily change product quantities and order details. Once these basic steps are managed, you can get more creative. For example, use A/B testing to test the position and appearance of key checkout functions or offer limited-time discounts to those whom haven’t hit the final checkout button after a few minutes. 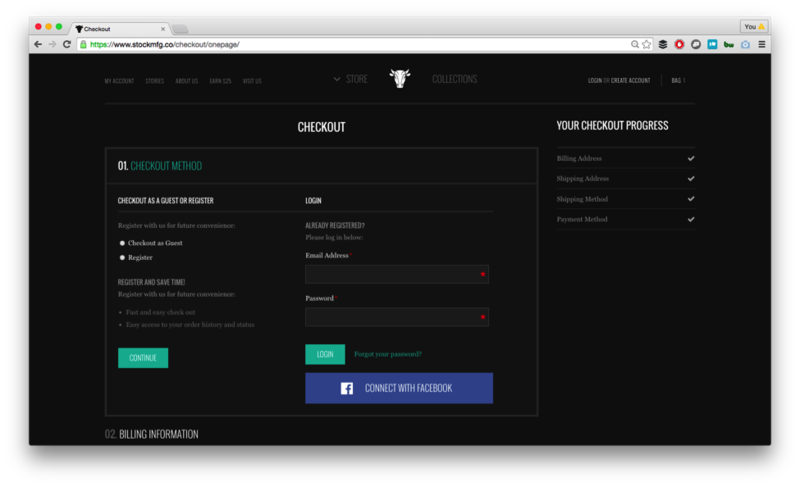 Stock Manufacturing Co. offers simple one-page checkout with Facebook and guest options. Be clear about security— Customer trust factors in eCommerce often determine whether a customer will purchase from you or a competitor. Link or post content on all secure checkout pages with security information. You should also build more than one payment option into your eCommerce platform; at the least, offer credit card and Paypal options. Luxury Garage Sale’s website includes security icons along with several payment options. Make sure your checkout process is online and error free— One of the most easily prevented sources of shopping cart abandonment is website error. Store owners should test their checkout functions on a regular basis to ensure everything functions correctly. In addition, web hosting can vary in scalability; make sure your hosting provider can handle periods of high traffic. After Abandonment, Follow Up— Even once all pre-checkout issues are removed, some customers still won’t complete their order initially. By requesting a customer’s email address before final checkout, you will be able to follow up on any lost sales. Magento plugins like Abandoned Cart Alerts will easily automate this process. 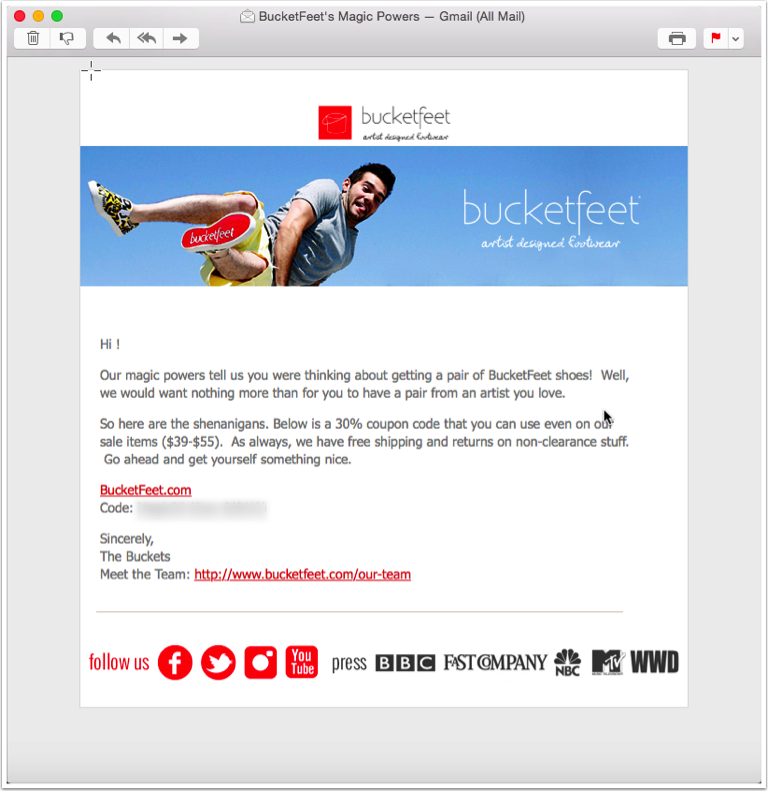 Bucketfeet sends offers to customers who abandon their carts. These five tips will help entrepreneur looking to decrease lost revenue. Even the least technically savvy founders can address easy concerns like hidden fees and security clarifications, and a development shop like FarShore can help with checkout optimization and automated abandonment emails. Struggling with shopping cart abandonment and not sure what to do next? Contact our team of eCommerce specialists today! Sam serves as an Associate Business Analyst at FarShore, where he executes on internal and partner projects. He previously ran Yumvelope, a monthly subscription box connecting regional snack producers with interested consumers. Sam is a student at Stanford University, where he studies Symbolic Systems. In his free time, he enjoys running and traveling. Magento 1 vs Magento 2: Should you upgrade to Magento 2.0?